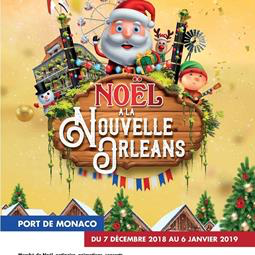 Join the Patin’air company for their new “Christmas Gala” show on ice on Saturday 22 December 2018, at 5.30 pm Port of Monaco. As every year, in the heart of the Christmas Village, the open-air skating rink will be playing host to the traditional show on ice. This year, join the Patin’air company for their new “Christmas Gala”. The grace of the ice and the magic of the circus combined to bring you a magical show for all the family. Skating, stunts, mountain bikes, acrobatics, magic, live music, elegance, fun and japes, and of course Santa Claus will be there to delight young and old alike. Free admission, subject to availability. No public skating on the day.